Our collaborations with the Secret Supper team hold a special place in our hearts. 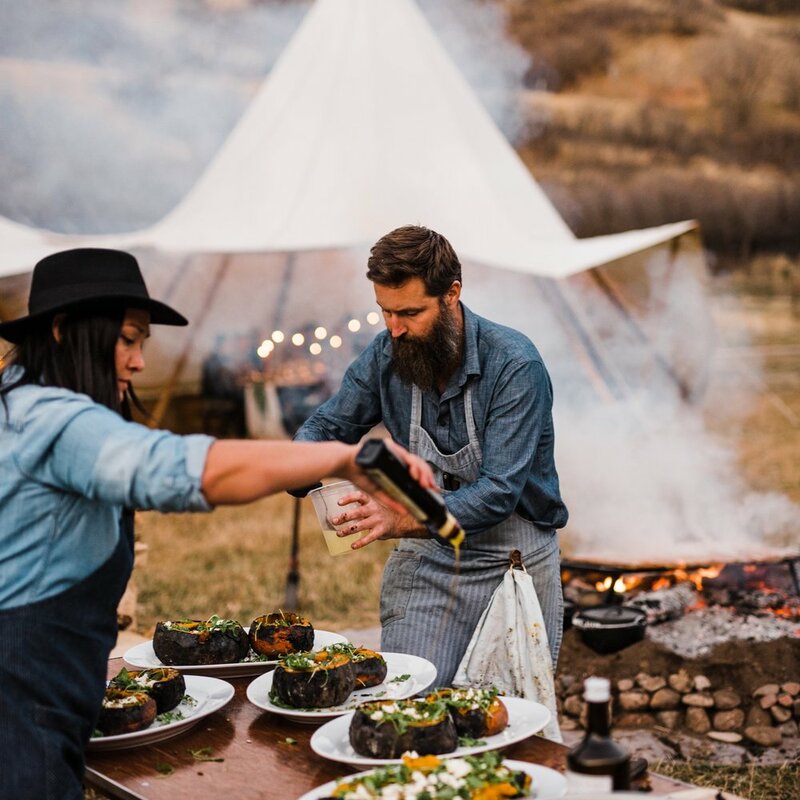 They will be bringing their beautifully set longtable back to the Pacific Northwest, where we’ll cook a five course meal over the flames that celebrate the season and surroundings. The thing about Chef Shauna Galante's food is that not only is it gorgeous to look at, it also makes you feel so damn good. Through her Secret Language pop ups, she quietly and artfully redefines "health food" for a new era. In this bacon and biscuit bombed city, Shauna's food is like a deep, cleansing breath of fresh air. With her clean, vibrant flavors and thoughtfully sourced and prepared ingredients, you will leave feeling nourished on so many levels. Shauna honed her skills and palate at some of Portland's most beloved restaurants (Coquine, Mae, Biwa and Willow among them) which shines through in her nuanced and artfully arranged plates that deftly combine balanced flavors and textural contrasts with precise technique. Like with all great food, the dishes Shauna prepares are highly personal. It is the food she likes to eat and share with others, from the heart. Come enjoy delicate seasonal dishes from Chef Shauna (SEE MENU BELOW) along with fresh NW oysters and other raw bar treats from us. Our Andy will be shaking up cute cocktails at the bar and there will crisp wines and cold beers as well. We’re delighted to partner with Sarah Wolf of Wolf Ceramics for an evening celebrating craft, community and food. The tables will be set with Wolf’s newest ceramic dish designs and Sarah will have the opportunity to share stories about her process and watch guests interact with her pieces. What pleasure it will be to enjoy a seasonal spring feast on her beautiful wares! At the end of the night, each guest will be invited to take home a ceramic dish from the meal. For more than 20 years, Steamboat Inn has gathered chefs and winemakers from around Oregon for a dinner series celebrating food, drink, and friendship. Come enjoy a multi-course seasonal feast with us paired with Sylvan Ridge wines, perched on a bluff overlooking the North Umpqua River. Better yet, book a stay for the weekend and soak up the peace and beauty of the area! $100 per person includes appetizers, dinner, dessert and drinks. Join us for a transformative evening under the big Texas sky. As part of the SXSW Southbites series of dinners, we’ll be partnering with our friends at Barebones Living to create a live fire dinner that will weave together source, craft and design to tell a story about people and place. Let everything melt away and become immersed in nature for an evening of connection and community. Sip thoughtfully crafted cocktails as you gather around the fire, then sit down to a meal inspired by the seasons and surroundings, cooked over the flames, and served on beautiful pottery handmade by artisans in Mexico. Click below to learn about the incredible partners, collaborators and makers that have come together to create this experience and discover how you can join us for this singular moment in time. We're so thrilled to welcome back Manuel Recio, aka The Iberico Carver, for our March Oyster Social. As one of the few Cortador Profesional de Jamón (Professional Ham Carvers) outside of Spain, Manuel shares the art of hand-carving jamón at various events, tastings, festivals and trainings throughout the country. How lucky we are to have Manuel in the house, sharing his love and knowledge of true jamón ibérico, the crown jewel of Spain’s gastronomy. Each jamón—which takes years to produce—is a glorious expression of the relationship between the noble Ibérico pig, the oak forests in which they roam, and the master artisans that preserve their legacy. In addition to jamón and oysters (a surf and earth match made in culinary heaven if there ever was one), we'll also be serving tasty tapas, salads and Spanish-leaning seafood dishes to make a festive evening of it all—and of course there will be plenty of beer, wine and fun cocktails from Andy too! No reservations necessary, just drop by for restaurant-style seating. Hope to see you at the table! 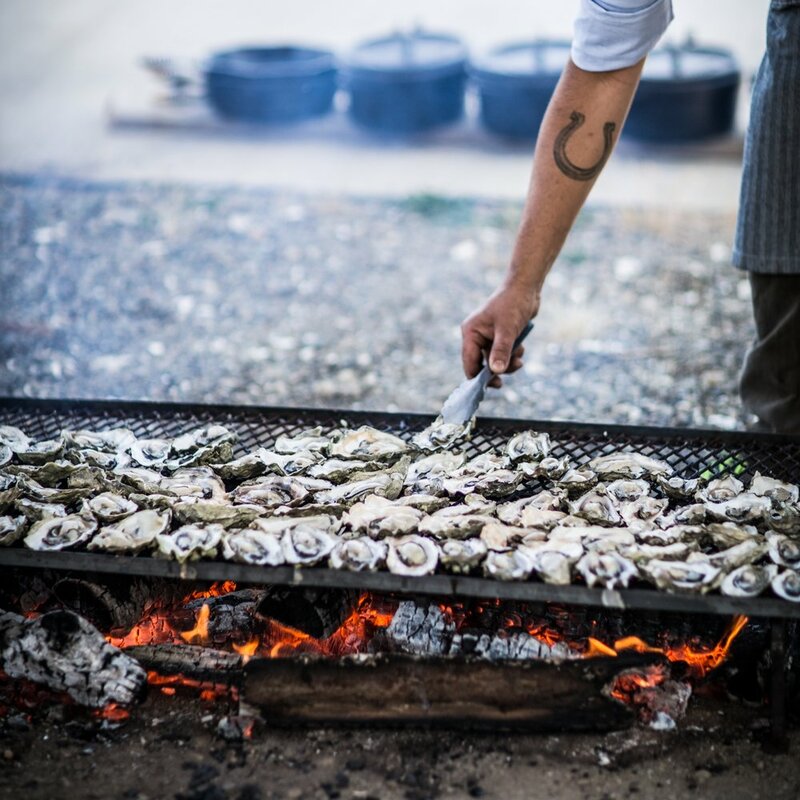 As part of the Shuck Portland series of events, we’ll be hosting Iron, Fire and Brine, an open fire cooking class tucked away in a secret urban oasis. This hands-on class will start with freshly shucked oysters and frosty pints of beer. Then, together, we'll gather around the flames to prepare ourselves a lunch of fire-roasted oysters and cast-iron seafood pozole. We’ll provide all cooking materials and equipment (featuring custom grills by Del Fuego Ironworks and cast iron from Barebones Living), so just bring your curiosity, appetite and all-weather gear, as the class will go on rain or shine! SHUCK PORTLAND - A Weeklong Celebration of Oysters! We're so thrilled to announce the return of Shuck Portland Oyster Week! Last year was such a resounding success that we’re back for more. From February 2nd-9th, Portland will be positively brimming with oysterrific events. There will be meet 'n' eats with your favorite oyster farmers, shucking, cooking and pairing classes, seafood feasts cooked by beloved chefs, panel discussions on the state of oysters and a slew of restaurants showcasing fresh NW oysters in dishes citywide. The best part about it is that these events will be raising awareness and funds to protect our oceans and estuaries, donating proceeds to our charitable partners The Wetlands Conservancy and WEBS, a local nonprofit based in Netarts, OR. For the full line-up of events, head over to the Shuck Portland website for all the news that's fit to slurp. We hope to see you out and about, celebrating food, fun, community and the beautiful bivalves we love so much. Cheers! It's going to be a shucking great time! For February’s Oyster Social, we can’t wait to welcome back Mr. Twisted Filipino himself — the one and only Chef Carlo Lamagna! Later this year, Carlo will be opening his highly anticipated restaurant Magna, where he will at last get to showcase the wildly exciting and deeply personal Filipino flavors he loves. Come enjoy a preview! At the core of Lamagna’s cooking is his family and his Filipino heritage, both of which have influenced his career. His dishes are like a glimpse into his life: where he’s come from and where he’s been, coming together to make something new. He uses classic techniques with modern, beautiful plating, merging old school flavor with new school style. Kind, passionate, hugely talented and always smiling, Carlo doesn't know how to do anything small, so expect big fun and big flavors (take a peek at Carlo’s a la carte menu below)! Along with these soulful dishes, you’ll find a bevy of PNW oysters from us and a super fun cocktail line up from our boy Andy. Come join the party! No reservations necessary, just drop by for restaurant-style seating. Hope to see you at the table, friends. 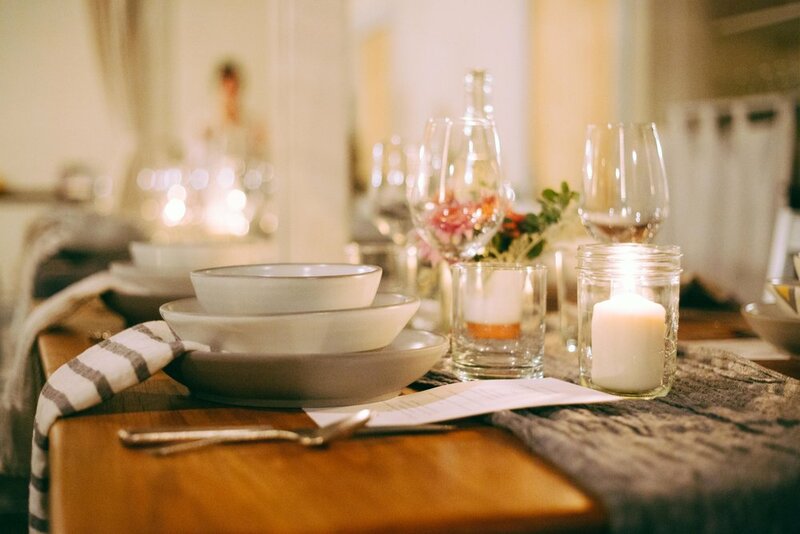 We love the idea of a dinner party that creates connections and shared experiences around the globe. Brilliant! We’re delighted to be cooking the menu below for the Portland Sobremesa Supper, which will be hosted by our friend, photographer/creative director/recipe curator Christiann Koepke and held at Kabinett, a vintage furniture and housewares store in SE Portland. The evening will also feature cocktails from Freeland Spirits and include a hands-on demonstration showing how to make preserved lemons. 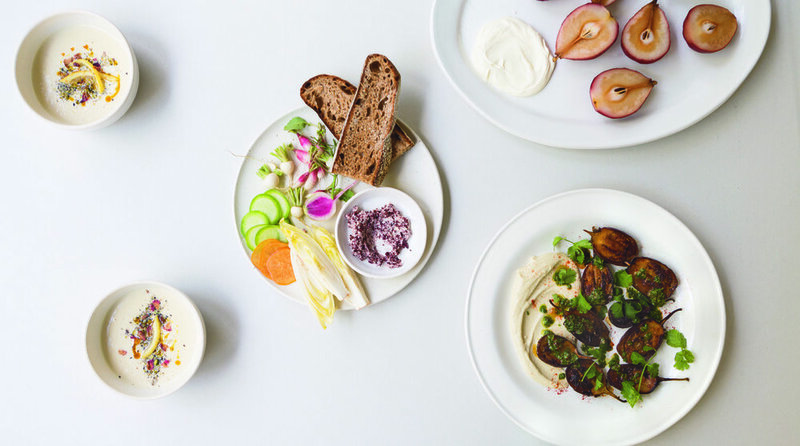 The meal—which was designed by the Sunday Supper team to be shared all over the globe— is inspired by harmony and balance in the winter season and features foods that are nurturing and warming, but still delicate and graceful. The supper is meant to be an intimate gathering and seating is limited. Join us for a beautiful winter’s evening at Red Ridge Farms, where we’ll be preparing an open-fire feast in celebration of the season’s best seafood and freshly milled Durant Olive Mill olio nuovo. The evening will begin with fresh NW oysters, bay shrimp cocktail and Dungeness crab on the patio, then move into the warm and inviting dining room for a four course feast highlighting single-varietal olio nuovo from the mill, paired with Durant Vineyards estate wines. Thomas and Mariah Pisha-Duffly have drawn inspiration from their travels in Southeast Asia and diverse culinary backgrounds to create dishes that are deeply flavored, richly textured and highly personal. With the iconic Indonesian salad as their namesake, Gado Gado celebrates Thomas’ Chinese Indonesian heritage, while innovation and technique push their dishes into an entirely new realm. Along with crave-worthy dishes from this duo--see below for the menu--we'll be popping fresh NW oysters and there will be crisp wines, frosty beers and cooling cocktails to wash it all down. Mona visited Bali for the first time this year and was absolutely enchanted by the intense and complex flavors of Indonesian food. Herbal, aromatic, spicy, sweet, sour and earthy—it’s like fireworks on your palate. Come experience it for yourself and we guarantee you’ll be asking yourself, Is Indonesian food the most exciting cuisine on the planet? This is one East-meets-Pacific-Northwest collab that you don't want to miss! No reservations necessary, just drop by from 5-9pm for convivial restaurant-style seating. Hope to see you at the table, friends! You already know we’re crazy about oysters, but did you know we also have a thing for classic steakhouses? To us, nothing says “let’s celebrate” like champagne, oysters and a good steak. You too? Then let’s celebrate together! This New Year’s Eve we’re plotting a very festive Oyster Social with an old school steakhouse twist. Oysters on the half, bottles of full of bub, classic cocktails (martinis and manhattans are a must!) plus riffs on steakhouse favorites (see working menu below). Finish with a tasting of fine single malts from the Edrington spirits collection and your evening is complete. Let’s dine well with friends and family and raise a glass together in celebration (or commiseration) of the year behind us, and toast to a fresh new year ahead, filled with hope and promise. A la carte menu. No reservations, no dress code, no four-hour tasting menus, just good people, good food and good times spent together. Join us for the final Tazon Pozole of 2018! It’s been a marvelous time, but like many good things, Tazon Pozole must come to an end for this year! 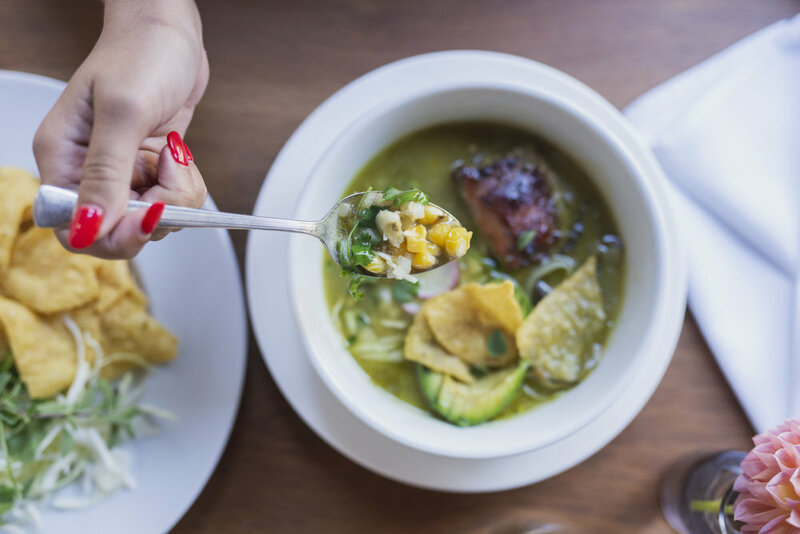 Join us for one last pozole party where steamy bowls start at $12 and you can choose from pork rojo, chicken verde or verduras (vegan), plus traditional and not so traditional add-ins. What’s more, our friend Shauna Galante of Secret Language will be creating rotating ceviche selections in her signature fresh and vibrant style and chocolate-whisperer Joe Rodriguez will make his obscenely delicious chocolate flan with mezcal caramel for a sweet ending. In many regions of Mexico, pozole is served only on Thursdays and is a wonderful excuse to gather friends and family around the table. We've continued this Thursday tradition at Tournant with Tazon (which means “bowl” in Spanish). Join us for an autumn afternoon at the breathtaking Titanic Ranch in Sandy, Oregon for an intimate masterclass in Farm to Fire cooking. TAZON RETURNS! 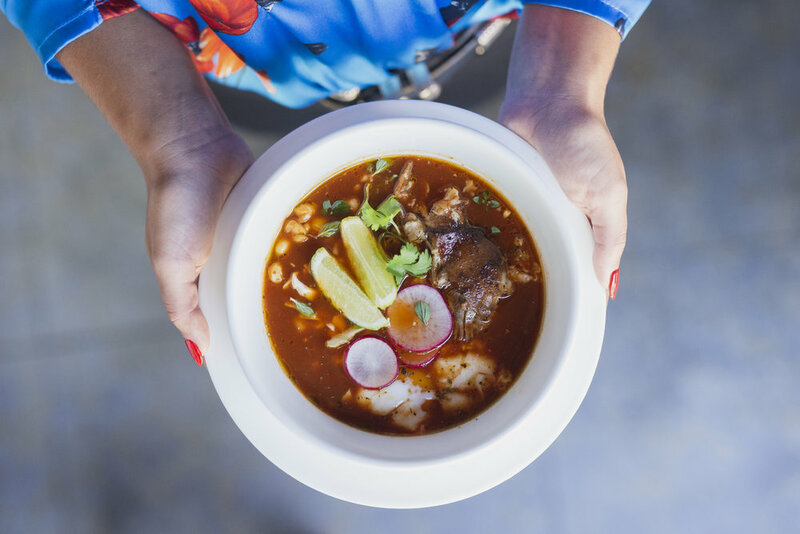 This fall, we're excited to announce that we’re not only bringing back everyone's favorite pozole night, but this time we’ll be popping up weekly at Tournant (almost) every Thursday through the end of the year! Lucky us, Chef Timothy Wastell is taking over the Tournant kitchen again for our October Oyster Social. Among the many reasons we adore Tim: his unwavering dedication to seasonality and supporting local farms, his ravishingly beautiful food, and the rare combination of pure talent mixed with gracious humility that he possesses. After decades spent in kitchens (DOC, Firehouse, Old Salt, and Sweedeedee among them), Timothy now has a more well-rounded life that in addition to cooking at farms and wineries also includes a full dance card as chef in residence to the Culinary Breeding Network, researcher and consultant to Oregon State University, Portland Farmers Market board of directors member, Groundwork Organics market man, and proud papa. All of this feeds his creativity and informs his farm-focused food, making it as thoughtful as it is delicious. If you haven’t had the pleasure of enjoying Timothy’s food before, you don’t want to miss out on this rare opportunity. See above for a glimpse of the beautiful seasonal dishes he featured on his Oyster Social menu last fall. Sneak peek of this year’s menu below. Porchetta and oysters = match made in surf and turf heaven! No reservations necessary, just drop by from 5-9pm for restaurant-style seating (though we suggest arriving early). Hope to see you at the table, friends! Come join us for two of our favorite things: beer and bivalves! We'll be shucking the freshest Pacific oysters at Baerlic Brewing from 4pm-6pm or until sold out. Gather your friends for some cold pints and briny dozens, then sip and slurp your way to autumnal bliss!